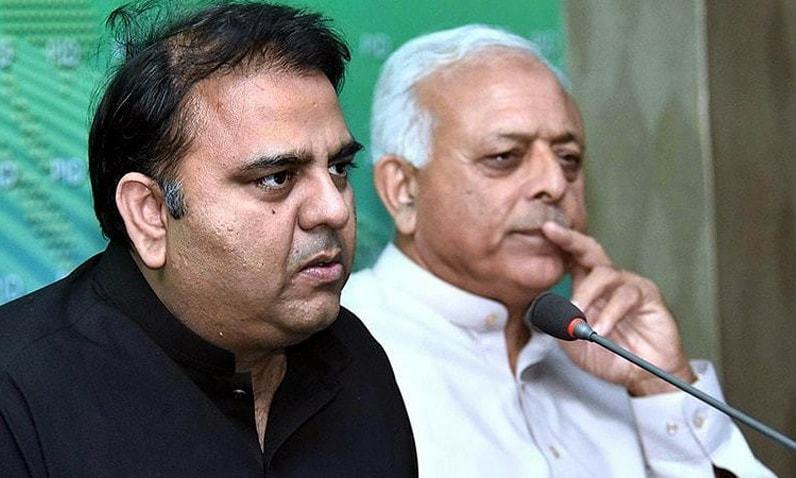 Information Minister Fawad Chaudhry on Thursday said the federal government has received complaints that the funds sanctioned for the development of Karachi have not been utilised properly, Radio Pakistan reported. While briefing the media about the proceedings of a federal cabinet meeting presided over by Prime Minister Imran Khan, Chaudhry said that the government has decided to give 3 per cent share to erstwhile Fata under National Finance Commission (NFC) award by reducing the share of provinces. Chaudhry, who was accompanied by Petroleum Minister Ghulam Sarwar Khan, further said that the development of Balochistan and Karachi was the top priority of the PTI government. The minister informed the media that it was decided in the federal cabinet meeting to hand over the administrative apparatus of the tribal areas to Chief Minister Secretariat in Khyber Pakhtunkhwa by abolishing Fata Secretariat. “The provinces will have to reduce their share in National Finance Commission (NFC) Award to give a three per cent share for the development of erstwhile Fata,” the information minister said. Chaudhry said the prime minister has already asked Finance Minister Asad Umar to conduct meetings with provincial representatives and take them on board in this regard on a fast track basis. The information minister said the federal cabinet has also decided to establish a high-level committee for the transformation of Karachi. "Karachi Infrastructure Development Company Limited will be revamped to make it more effective in executing projects," he said. 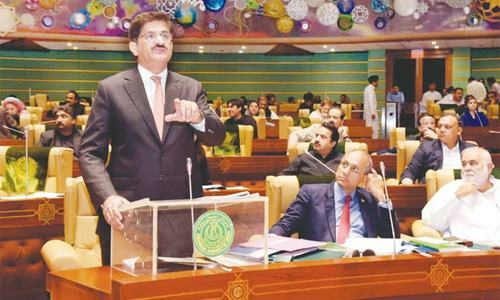 Commenting on the remarks made by the federal information minister regarding the proposed cut in the NFC award, the Sindh government’s information adviser said that the federation does not hold the authority to announce any reduction in the quota reserved for provinces. While taking credit for the annexation of Fata with Khyber Pakhtunkhwa, Murtaza Wahab said that PPP was the biggest supporter of development and progress of Fata. 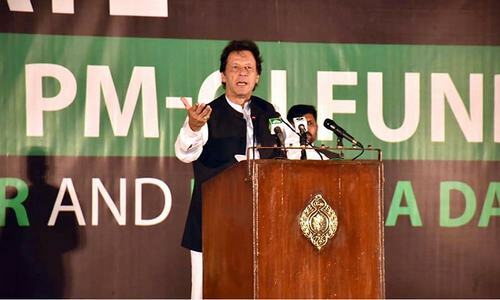 “However, it is not right to deprive the underdeveloped provinces of their due share of resources in the name of Fata’s development,” he said. The Sindh government’s adviser was of the view that by forming a task force for Karachi’s development the federal government interfering in provincial matters. What does Mr.Fawad Choudhary means by the finds sanctioned for Karachi was not utilized properly...Can you be kind enough to further elaborate was the funds has been lapsed or the funds has been looted..In either case the sufferer are Karachiests...Karachi being top most contributor to national Kitty....Does not it deserve better treatment in all aspects. When have development funds for Karachi ever been utilized properly? I support government decision to allocate 3% of NFC award to FATA by cutting provinces share. When the Province doesn't utilize the funds either properly or misuse them, someone has to take charge of the situation, we all know all too well the mess in Karachi, its time the government intervenes. Enough is enough, people are being left behind in Sindh and Baluchistan in the name of so called Democracy, what kind of Democracy is that? can someone pls tell me what is the difference between Information minister and Spokesperson.. none if we take this man as example..
Amazingly the title and the content of this article go in different directions. It was about to talk the issues of funds lapses in Karachi but didn’t elaborate how and by whom? What kind of cabinet it is that decided to reduce provincial share without discussing and agreeing with provinces? These guys don’t have any experience in running even a small company. @Shib do not worry. Fawad Chowdhary is on his learning curve. Next time he will either elaborate or Khan sahib will send him home. Khan sahib incompetence unacceptable under PTI. the PPP led Sindh Govt. has been neglecting the whole province especially Karachi since the past several years. there is no such thing as infrastructure in the city. solid waste, sewage, lack of water and pathetic conditions of the roads are clear examples of their performance. Karachi is mini-Pakistan, the soul of Pakistan, please don't label it as a city of a certain ethnic community. so sorry to hear the comments of the mentioned adviser to Sindh Govt. it's about time the federal govt. took some serious steps to relieve the citizens of Karachi. The Sindh government's is inactive as such a task force is necessary to help the Sindh government to be put back on track and to make sure the money is used for projects and not for personal use. Projects need to move fast in the country otherwise the country will fall further back, a lot of time has already been wasted. More than 50% of country tax collected from this poor city which we call Karachi. And how badily it was looted by federal and especially provincial and local governments. Major overhauling required for infrastructure. And for heaven sake take land department and water department from Sindh government before its too late. @Mohit(US) State your point please. @Saadi_sayz Yet here we are, again, electing the same government in Sidh to get the same results for the past 10 years. PPP is not to be blamed, people should be held accountable for the lack of performance by PPP. And where is Bilawal when you need him to explain his parties performance? As long as PPP is in power in Sindh, we will remain impoverish beyond belief. Thar and Larkana are the prime examples of neglect. Many of sub-Saharan countries are in better shape than Sindh. Wake up Sindheo!! Sindh government is bone in throat. Fata should be given share out of KPKs share since it's becoming a part of it. Or out federal share. Not from three other provinces. @Shib let me tell you what he meant. PPP is corrupt and eating Karachi. @Sameer you nailed it. Trust me. People are force and people can remove these big politicians and landlords in Sind for their rights. As long Zardari and Nawaz Shrief like so call politicians are there no development will occur and only corruption. @ Shib - he means PPP have looted most of it into their pockets..thats why Mr Zardari can own properties abroad and go for medical checkups in UK like its some clinic in karachi ! FATA was funded from federal share and why is provinces now have to give there share ? Doesn't make any sense. How can they even announce the % of funds without discussing with the provinces and what's the RATIO contribution within that 3% among the 3 provinces? If Federal Govt wish to see funds spend correctly on Karachi, it must handover funds to Managing Comittee of Karachi Chamber of Commerce & Industry. As business organization it will honestly deliver.